We want to live in a world where working together when we’re apart is as nuanced, effective, and fun as being in the same room together. We want that satisfying flow of getting in sync, finding the rhythm, and being on the same page even when we’re working remotely. A little piece of us dies every time we’re on a video call and we can’t get our point across in the moment. Or when our work together becomes stilted and difficult because we’ve got not just miles between us but also a web interface that doesn’t care much about content and context. It doesn’t care that we’d be better off if each of us could share our stuff at the same time. Like us, we think you too want to have an experience that is as rich as being there in person, standing side-by-side with the people who really love jamming with you on the next project. Even if you, like us, often find yourself working remotely, at the other end of the line. So we’re developing Rumpus. Starting today you can find a link to download Rumpus at rumpus.co. It’s a meeting solution just for virtual teams. It gives you the room to be expressive, to be yourself, to be human. Because we’re human too. The humans of Oblong can now also meet via Rumpus! 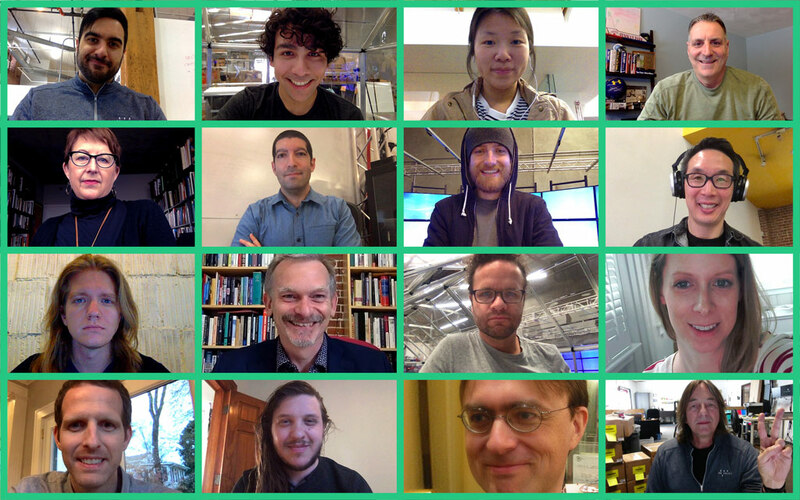 Think about how your video calls with your collaborators could be better. Would it be better if you could see what he/she is pointing at, talking about? Would you like to annotate on something you see? Stream your screen too so that everyone can click over to see your data point? Or react in real time without disrupting the conversation flow of the group call? We’re just now embarking on a journey to make this happen for you and for all of us. Yes, everyone knows us at Oblong for our astonishing immersive visual collaboration solutions that make the most of architectural space, providing a panoramic and dynamic shared workspace in a room, in connected rooms, and when connected to a room. But starting now we’re taking a stand for those of us working on virtual teams. A representation of Pointing Mode in the Rumpus App. We know that you will love Rumpus. Today is just the beginning of a better, more visual, and more human way to work. With Rumpus, everyone can come together with the stuff they’re working on from wherever they are, share it simultaneously, and use some new tools for those social cues that are missing from most online meetings. Right away you’ll be able to share multiple screens at the same time with Rumpus. You’ll have personal pointers to guide focus and add emphasis. 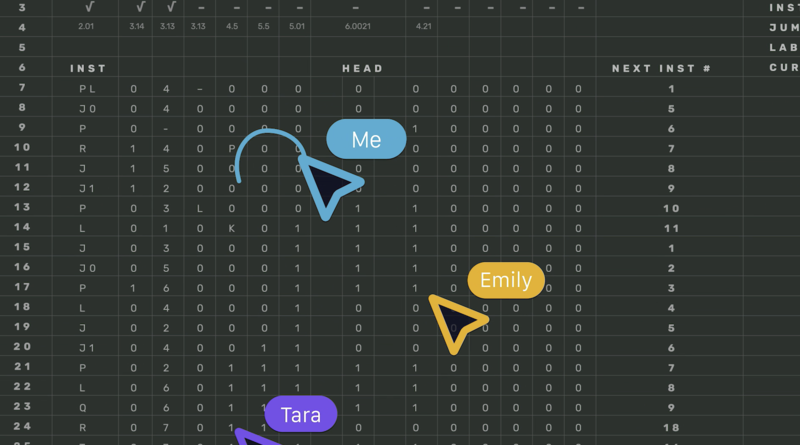 Coming soon is a set of friendly emojis to quietly signal sentiment. Over the coming months, we’ll add support for Windows and integrations with other web conferencing and workplace solutions. We need this application to work better together wherever and whenever. We think you do too. Welcome to Rumpus. It’s free for now and it’s going to shake up your online meetings. We look forward to your feedback on it as we work to make working together a whole lot better.